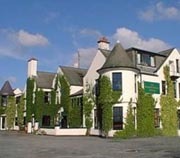 The Abbotsford is a family-run hotel established in 1966 in a residential area 5 minutes walk from Ayr town centre. Our Management and staff create a warm and informal atmosphere and always ensure your stay is both comfortable and relaxing. The Hotel offers well appointed, comfortable bedrooms, all with ensuite facilities, televisions and central heating. We have 2 bars, both enjoyed by the natives, who are classified as friendly. Our restaurant is a popular local eating spot, offering both traditional and alternative menus and utilising the wealth of local produce. Our Garden Terrace and spacious Beer Garden offer ideal locations to unwind during summer months, being both secluded and well appointed to the sun. A wide range of activities are readily accessible from the Hotel's location making it an ideal base for both sportsman and tourist alike.